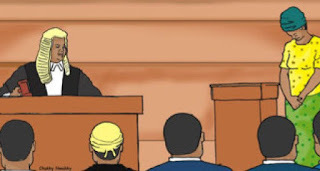 A pastor’s wife, Mrs Uzoamaka Ibeneme, on Friday, lost her 21-year-old marriage, when an Igando customary court in Lagos dissolved the union on grounds of adultery. He said, “Since the petitioner insisted on divorce after several interventions, the court is therefore left with no option but to grant him his wish and pronounce the union dissolved. “The court hereby pronounces the marriage between Pastor Joshua Ibeneme and Mrs. Uzoamaka Ibeneme dissolved today. “Both of you will henceforth cease to be husband and wife, each of you should go on his or her separate ways unmolested. “The court wishes both of you well in your future endeavour. Meanwhile a five-year-old marriage between a 35-year-old trader, Bilikisu Azeez, and her husband, Olusesi, was also dissolved by the court on Friday.